Begin a desperate struggle to survive an apocalyptic world full of danger and opportunity. 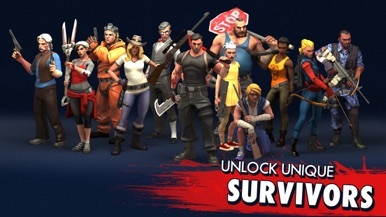 Gather skilled survivors to your side and unite against relentless attackers – both living and dead. Scavenge in the city, wage war on infected zombie camps and take what you can from other survivors. When humanity falls and the dead rise, you must do whatever it takes to survive in this apocalyptic combat-strategy game. Each survivor has a unique ability and backstory to discover. From the enigmatic Kane to the bow-wielding Rosie, not everyone is what they seem. Resources are hard to come by in the apocalypse. Keep your food and gas safe with Watchtowers, Flamethrowers, Tesla towers and more! Form devastating scavenging teams and raid rival players from around the world to steal their precious materials, amass victories and climb your way up the leaderboard. Exterminate zombie-infested camps in tactical missions and shoot the dead in the Zombie Hunt mini-game to unlock rare items and special weapons. Launch Devices from your Van to anywhere on the battlefield. 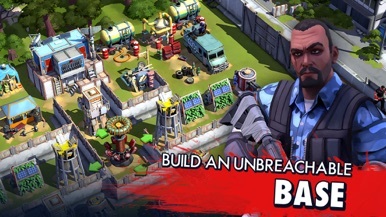 Revive fallen Survivors, summon B-strain Zombies to fight for you, or just plain blow stuff up! 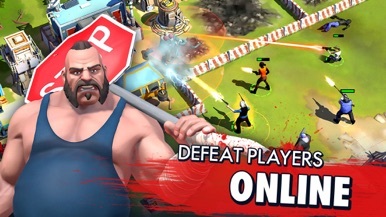 Master a new layer of strategy as you control your survivors’ moves during raids and make tactical use of their abilities to keep them alive. Play the daily bounty quests to obtain valuable resources. You can also win BIG by completing the weekly Infestation Seasons and other unique limited-time seasonal events. 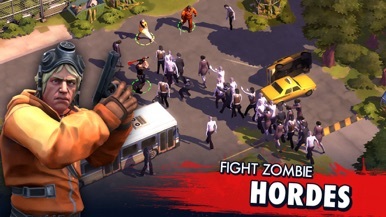 ZOMBIE ANARCHY™ is free to download and play. However, some game items can also be purchased for real money. If you don't want to use this feature, please disable in-app purchases in your device's settings. - This app requires an iPad 2 (or newer), iPhone 4s (or newer), or iPod touch (5th Generation). Ambassador Events provides an always up-to-date program, speaker profiles and other useful information for the event. Interact, leave feedback and be notified of any updates. After downloading the app, please find the login link in the invite email. For any help don't hesitate asking event staff for assistance. Fly and avoid obstacles like threes, rocks, bees, bats and much more. Collect coins to buy different planes and rockets.